There is no need for a referral for a chiropractic visit. Chiropractors are primary healthcare practitioners therefore a referral is not necessary. However more and more GP’s are referring to Chiropractors as they begin to understand the benefits that can be gained through optimising nerve system function. IS CHIROPRACTIC SUITABLE FOR ALL AGES? Yes. At our chiropractic clinic we have seen people from as early as 3 day old to nearly 93 years old (and getting older). The techniques and methods we use are always adapted to suit our patient's individual needs and requirements. For example with babies, the pressure we use is generally no more than the amount of pressure you can put on your eyeball with your finger. The techniques and methods used are always appropriate for the particular age group we are caring for. WHAT CAUSES THAT POPPING NOISE? The popping noise which is sometimes associated with having your spine adjusted is due to gas (nitrogen & carbon dioxide), rushing in to fill a partial vacuum created when the joint surfaces move slightly. Some techniques will produce no sound at all others might. Either way it doesn’t hurt and it is not in any way bad for you. It is certainly NOT bones crunching or grinding together! But if you do not like the sound, we are happy to utilise techniques which produce no popping sound at all. WHAT SHOULD I EXPECT DURING A NEW PATIENT VISIT? Thorough health history Physical examination including; Neurological, Orthopaedic, and Chiropractic specific testing, X-rays or CT scan, or MRI if clinically indicated. For more details visit What to Expect. FOR HOW LONG WILL I NEED CHIROPRACTIC CARE? Chiropractic care is a strategy that meets the requirement of maintaining the health of the spine and nerve system in order to optimise our health and maximise function. The ongoing benefits of wellness care can be compared to eating healthy nutritious foods or physically training to increase our fitness. Once you cease to eat the healthy food or stop training, the ongoing benefits will not be maintained forever and that backwards slide is imminent. So like any health promoting activity, how long you decide to benefit from chiropractic care is always up to you. An adjustment is a gentle and very specific pressure applied to the spine to help the body correct a spinal misalignment which is commonly called a vertebral subluxation. This loss of function or movement of the vertebrae impacts the transmission of signals passing through the nerve system from the brain to the body and back to the brain. By correcting the position of the vertebrae with an adjustment, normal spinal function is restored and pressure is removed from the delicate nerve system which in turn allows for improved nerve system function and health. There are several different ways or techniques that may be used to adjust the spine. Many chiropractors use their hands to deliver the highly accurate thrust but they may also utilise specifically designed adjusting instruments or drop piece tables to assist. After several years of university training most chiropractors are highly skilled in a variety of techniques allowing them to meet the needs of many different individuals. As everyone responds and adapts differently to care and the fact that spinal misalignment, aches and pains affect different people in different ways - responses can vary a lot. We find that after an adjustment you will generally experience one of three things. You may feel fantastic, you may feel no changes at all or you may feel a little tired, washed out or even some slight soreness. Each of these results are as good as one another, but more importantly as the body begins to heal, repair and adapt lots of changes will be occurring in your body both physically and physiologically as the nerve system works with less interference. Any soreness or stiffness is usually very mild and only lasts a short time (24-48 hours). Generally most people report they feel lighter, clearer, more relaxed and have improved sleep. Spinal misalignments, pains and aches affect people in different ways, therefore the results achieved by each individual will vary greatly. Your body has an incredible capacity to heal and repair itself naturally, and this process is only enhanced with chiropractic care as we remove interference to the nerve system and restore the brain-body connection. Many people find they have more energy, they sleep better, have better concentration, or a greater ability to resist disease and illness. Other people find their headache, neck or back pain, significantly diminish. Most people are in fact delighted with the success they have with chiropractic. Our objective with your care is to correct disorders and remove nerve interference so your body can repair and heal the way it was designed to. Remember symptoms are a warning sign that the body is at its outer limits of physiological adaptation. When we correct misalignments and remove nerve interference the body will move back to within its normal healthy limits of function, in most cases the symptoms will resolve as the body functions at a higher level. On that basis we don’t adjust you to fix your pain or symptoms as the body will take care of that on it's own and starts to heal, repair and move towards optimal health when all things are working well. WHAT SHOULD YOU WEAR TO YOUR APPOINTMENT? Most chiropractors will take care of people in the everyday clothes that they wear. However any bulky clothing such as a heavy jackets or thick jumpers would need to be removed. Other than that come as you are, relax and we will take care of you. No. X-rays are only required when clinically indicated. Your chiropractor will determine the need for x-rays based on your health history and exam findings. X-rays can assist with the diagnosis of various conditions and also be used to rule out more sinister causes of spinal problems. If you do require x-rays we will be happy to refer you for images with the least amount of exposure. WHAT HAPPENS DURING A REPORT VISIT? Your chiropractor will show and explain to you the findings we collected on your initial assessment. Our goal is to work very closely with you to specifically tailor a health & wellness strategy that meets your individual needs ultimately allowing you to reach your health goals. For more details visit What to Expect. WHAT IS THE VISIT PROCEDURE WHEN I ARRIVE TO HAVE MY SPINE CHECKED? We consider both your time and ours to be valuable, so to ensure we run on time and provide you with an efficient service, we ask that you arrive on time (or approx 5-10 minutes beforehand). 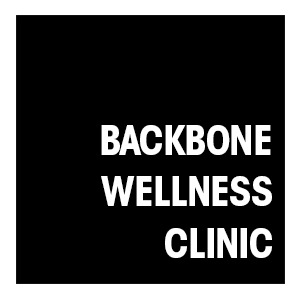 When the chiropractor is ready to check your spine and nerve system you will simply be called to the adjusting room and be greeted by your chiropractor. Regular visits don’t take long but your body will be healing and repairing for hours and days afterwards. WHAT HAPPENS WITH MY HEALTH INSURANCE? We provide HICAPS payment service in our practice, which means you can claim right there on the spot after your visit. Or alternatively, we can provide receipts of treatment so you can arrange for your to claim through your Private Health Insurance fund. WHAT TYPE OF EDUCATION DO CHIROPRACTORS RECEIVE? To become a registered chiropractor in Australia you must have studied an accredited 5-year chiropractic program conducted at a University within Australia, or have completed an accredited program overseas that satisfies the requirements set by the Chiropractic Board of Australia. Chiropractic is a government registered and regulated health profession with strict guidelines, so rest assured that you are in safe hands. WHAT IS THE DIFFERENCE BETWEEN CHIROPRACTIC AND PHYSIOTHERAPY? We get this one a lot!! In understanding the difference between Chiropractic and Physiotherapy, we recommend referring to the definition of each practice. Chiropractic is a form of manual medicine, a health care discipline based on the scientific premise that the body is a self-regulating, self-healing organism. To become a registered chiropractor in Australia you must have studied an accredited 5-year chiropractic program (usually a double degree, a bachelors and a masters) conducted at a University within Australia. The practice of chiropractic focuses on the relationship between structure (primarily the spine, and pelvis) and function (as coordinated by the nervous system) and how that relationship affects the preservation and restoration of health. Physiotherapy as described by the australian physiotherapy association, “uses a variety of techniques to help your muscles and joints work to their full potential. It can help repair damage by speeding up the healing process and reducing pain and stiffness. To become a registered physiotherapist in Australia you must have studied an accredited 4-year physiotherapy program (a bachelor degree) conducted at a University within Australia. Each individual is different and must make their own choice about the most appropriate method of care for them. We believe chiropractic, with its central focus on the spine, nervous system and their impact on the entire body provides a health care option that can move you towards achieving a state of optimal health. Many of our patients have tried physiotherapy and find chiropractic works for them, the chiropractic treatments are more specific and hands-on, usually resulting in a significant difference. Want to try chiropractic care for yourself? Call us today or book online for your assessment.